There are many different ways to keep your cars spotlessly clean. But one of the easiest routes to take is by means of using paper mats for cars. You may initially not think about how useful these paper floor mats are because let’s face it, they’re so plain-looking. Nonetheless, they do one job really well—and oftentimes, this is enough. They simply and effectively keep your cars’ floors free from dirt, grime, dust and all other gross things. 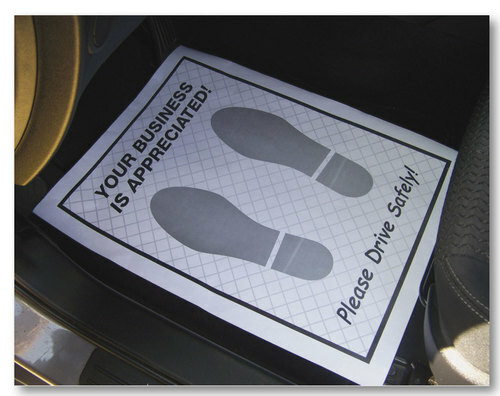 The printed message on each mat also subtly reminds customers to drive carefully and that you’re grateful for their patronage. Be sure to throw a box or two of these in your cart!